Foxit PhantomPDF 9 is a business ready PDF solution with powerful PDF editing and converting capabilities. Foxit PhantomPDF is a full featured toolkit ideal for groups of all sizes that allows you to create, edit, comment, collaborate and share, secure, organize, export, scan and OCR, and sign PDF documents and forms. Foxit PhantomPDF also supports ConnectedPDF features, which extend the ISO PDF standard to allow each PDF to carry a unique identifier that leverages the power of the cloud to keep you and your PDFs connected, and enables you to track and share your documents easily. 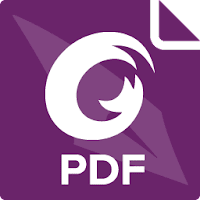 Foxit PhantomPDF Standard - Ideal for groups of all sizes, enables quick and easy creation of professional looking PDF documents, highlighting and annotation capabilities, and functionality to edit text, manipulate PDF pages, and secure sensitive information in PDF documents. Foxit PhantomPDF Business - the premier Business Ready PDF solution with advanced editing and security features, providing a robust PDF solution that stands up to the demands of large enterprises and is lightweight enough to easily deploy to thousands of users without exhausting IT resources. Foxit PhantomPDF Education - Multi-feature PDF editor for students and educational institutions to create, edit, comment, organize, convert, scan / OCR, and sign PDF documents and forms. Disclaimer: Direct downloads for the lastest version of Foxit PhantomPDF 9.4.1.16828 are provided by the official software's author, we can't guarantee safety, availability or download speed. Moreover, we don't and we won't provide any pirated/illegal versions or tools. We recommend you to avoid it as these methods can harm your device. If you like the software, buy it to support the developers. (We provide software discounts for many worldwide brands).